Obituary for George Reynold Shirar | Bryant Funeral Home, Inc.
George Reynold Shirar, 88, of St. George, husband of Lorene Johnston Shirar, entered into eternal rest on Sunday, March 17, 2019 at his residence. Funeral Services will be held 11:00 AM Tuesday, March 19, 2019 at Bryant Funeral Home Chapel with Reverend Kevin Hinton officiating. Visitation will be an hour before the service. George was born on October 7, 1930, in Tower City, PA, a son of the late George Snow and Ruth Dorothy Rhenoild Shirar. 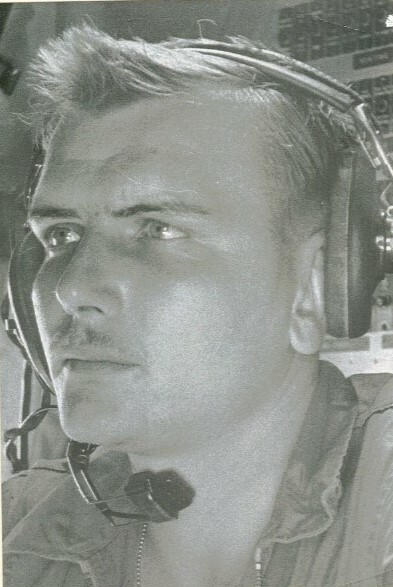 He was a retired US Air Force Flight Engineer, with a rank of Master Sergeant and a Korean and Vietnam War Veteran. He was a volunteer fireman, Mason, Shriner and a member of Bearwallow Baptist Church in Gerton, N.C. He was predeceased by his son, James “Jim” Michael Shirar. Memorials may be made to St. Jude Children’s Research Hospital, 501 St. Jude Place, Memphis, TN 38105. Online condolences may be made at bryantfuneral.info.